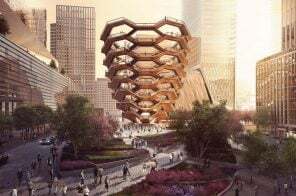 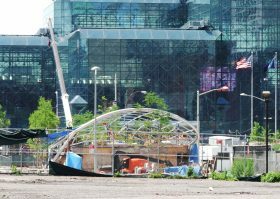 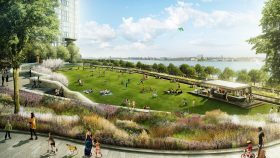 Financing has been secured for the extension of Hudson Park and Boulevard at Hudson Yards, Mayor Bill de Blasio announced Wednesday. 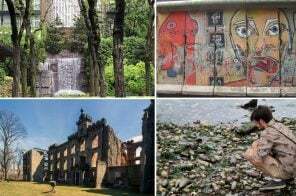 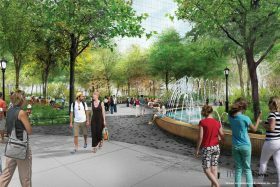 The first phase of the park developed with the extension of the 7 subway line to 34th Street and opened in 2015. 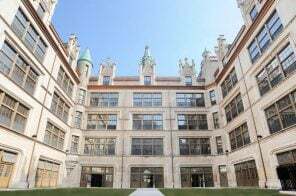 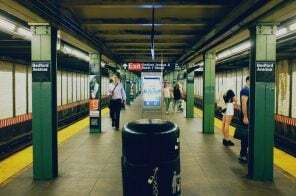 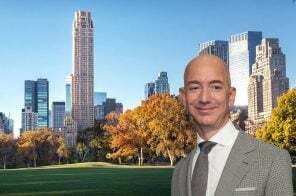 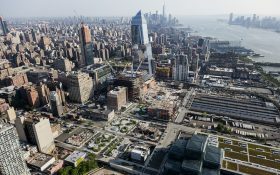 The extension, which is part of a $500 million investment, includes a three-acre park that will run over an Amtrak rail cut from West 36th Street to West 39th Street, between 10 and 11th Avenues. 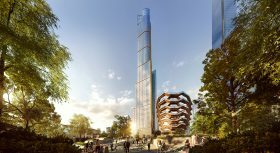 This addition expands the parkland at Hudson Yards by 75 percent. 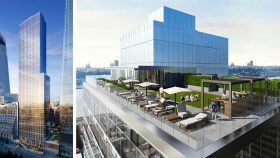 Is this 32-story building the next residential tower coming to Hudson Yards? 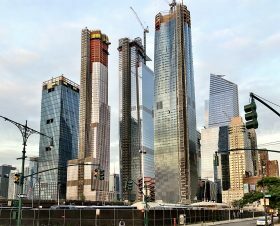 The first residential supertall to rise at the Hudson Yards mega-project officially topped out this week at 1,009 feet. 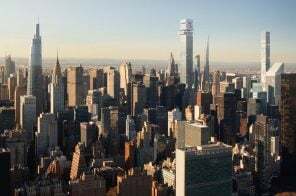 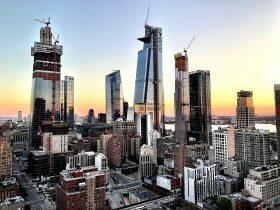 Developed by Related Companies and Oxford Properties Group, 35 Hudson Yards rises 72 floors and is now considered the ninth tallest structure in New York City, YIMBY reported. 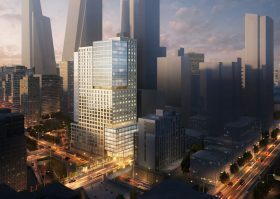 Skidmore Owings & Merrill (SOM) designed the 1.1 million-square-foot mixed-use tower, which will accommodate 137 private residences, an Equinox-branded hotel and fitness club, office space and ground-floor retail.